This cable is the replacement serial cable for the TP-40 report printer. This cable is the replacement serial cable for the TP-40 report printer. It will ONLY work with the TP140A and TP140 printers. 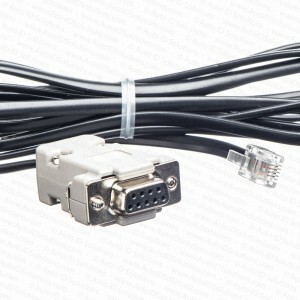 The replacement interface cable for the RJS TP-40 printer include a 1/8″ headphone jack on one end of the six (6′) foot cable and a modular 6 pin connector on the other end.